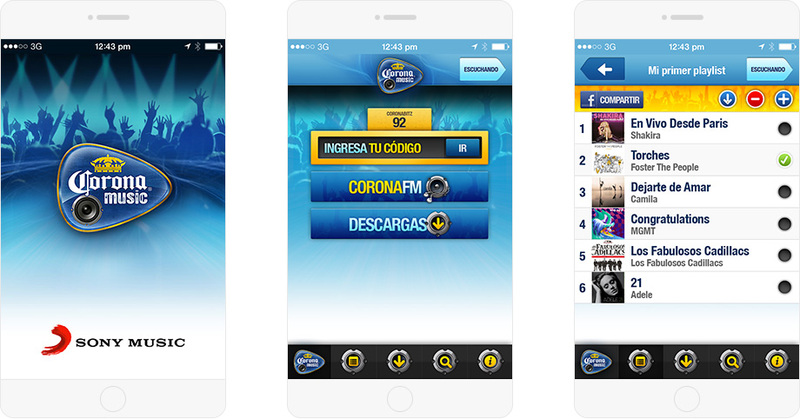 We designed an attractive and fully featured social music app for iPhone / iPad (iOS) and Android platforms. 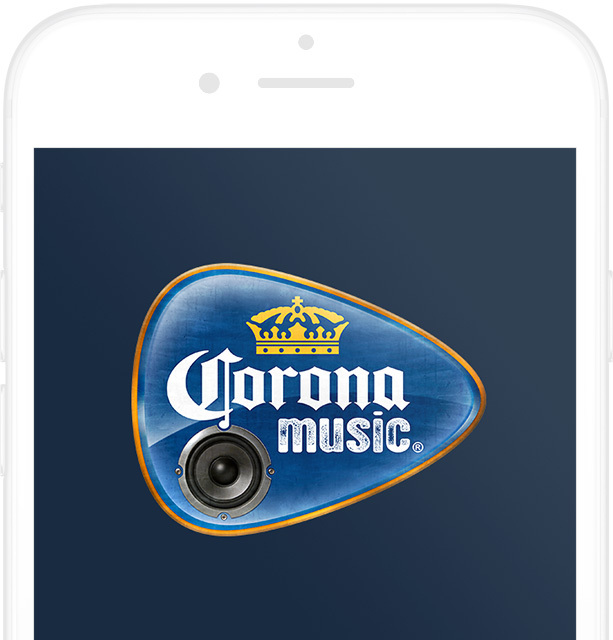 In collaboration with Red Unicorn, the Corona Music campaign aims to connect South American music lovers with Sony Music artists via their mobile devices. 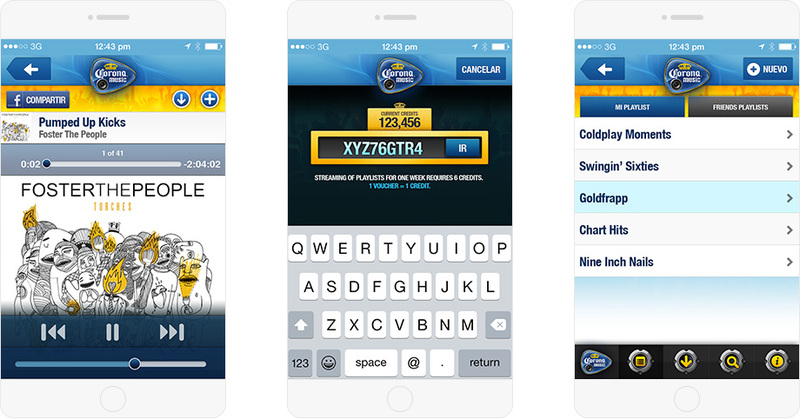 A massive 1.7 billion on-bottle voucher codes were created for the campaign and did we mention the apps were designed and built in Spanish.